Spencer Burton, a Boise resident, is the creator of the venue. 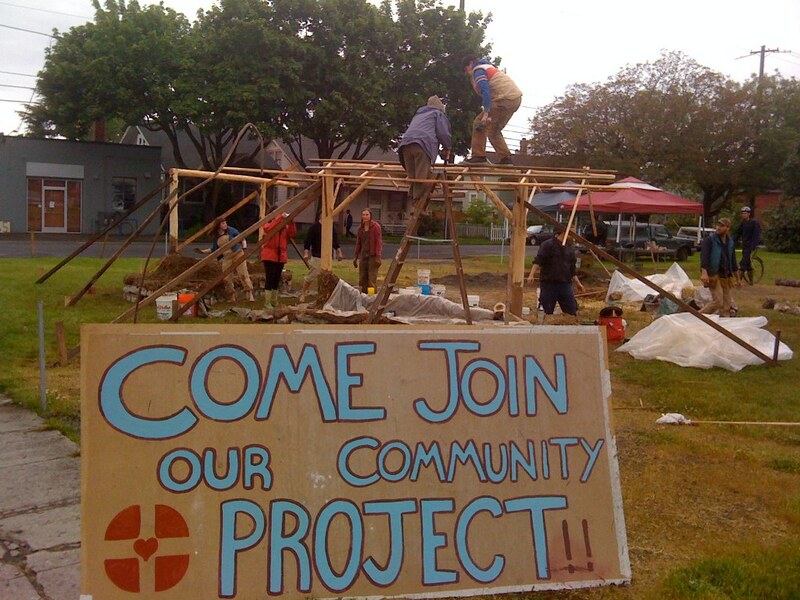 The grassroots driven project aims to transform a large vacant lot into a public market and vibrant gathering space. The village square model is a revitalization of an old economic model. In small towns and villages around the world people bring whatever they grow, cook or create to the village square which is the center for community and commerce. In an era of global warming and rising energy prices, Spencer believes it is essential that we begin to localize our economy and produce what we need here in Portland and sell it in public markets in neighborhoods across the city. Spencer hopes the project can be a sustainable business model that can be used to bring blighted unused properties into production in a way that engages, reflects and benefits the neighborhood. 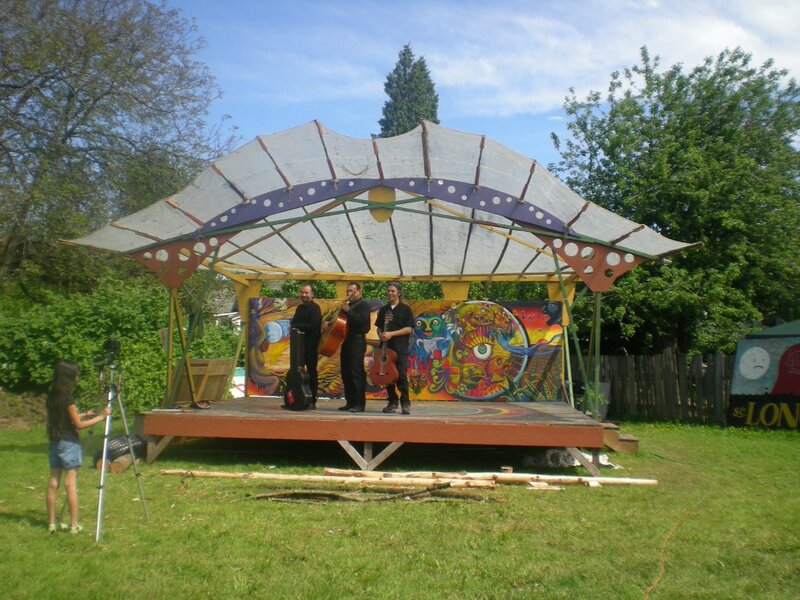 There is a cool looking stage and cob benches with timber framed metal and eco roofs that dozens of volunteers from the 11th Annual Village Building Convergence have been working on for the last few weeks. They are also planting over 50 fruit and nut trees and a community garden. They will be building timber framed covered pole barns for venders. The 10’x15’ covered pole barns will be available for venders at a cost of $35 a day, and there will be some 10’ x 10’ tent spaces for $25 a day. The vender spaces being made available in the public market this year will ensure there’s at least a little something for everyone. They will feature: locally fresh food and produce, arts and crafts, selected merchandise and some free community tables.